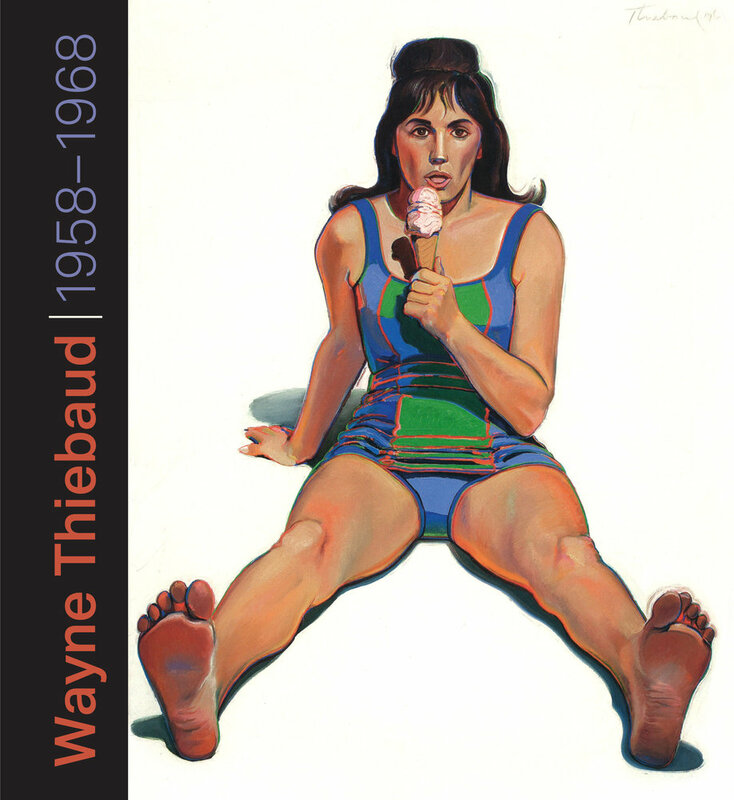 Wayne Thiebaud: 1958–1968 examines Thiebaud’s ongoing impact on contemporary art through in-depth analysis of the paintings and drawings made at the launch of his career, at a seminal moment when the art world was moving beyond Abstract Expressionism and redefining itself. By questioning Thiebaud’s relationship to Pop art, his self-imposed distance from the movement, and the popular urge to affiliate him with it, Teagle explores the role of his painting in the traffic of images at the end of the twentieth century. Organized in close cooperation with the artist, this is the first study of the emergence of Thiebaud’s mature style and the only museum exhibition to date to delve into a specific period of his production, a time that coincides with the start of his teaching career at University of California at Davis. Thiebaud’s art, like that of the celebrated Pop artists with whom he shared early exhibitions, is ripe for critical reappraisal. The “soft” nature of Thiebaud’s famous subjects, his creamy pies and dripping ice creams, positioned his art as fodder for social-political review on occasion, but rarely for serious historical analysis. Since the beginning of his career Thiebaud reminded critics of his formal interests and his deep affiliation with the history of painting. This exhibition takes as its starting point an understanding of Thiebaud’s painterly language—its historical sources and contemporary affiliations. Shaped around the seminal exhibitions that marked Thiebaud’s entrance onto the stage of contemporary art, it concludes with a close reading of the artists’ expanded subject matter presented in a major traveling exhibition in 1968. Portraits and landscapes now joined the food that prevailed in early exhibitions, and all pictured in the artist’s now signature style of objects deployed in neutral space, bounded by halated light and casting long shadows of saturated color. With contributions by Margaretta Lovell, Alexander Nemerov, Francesca Wilmott, and Arielle Hardy. Published in association with the Jan Shrem and Maria Manetti Shrem Museum of Art, University of California, Davis. Rachel Teagle is the Founding Director of the Manetti Shrem Museum of Art. She has contributed to a number of exhibition catalogues including A Family Affair: Modern and Contemporary American Art from the Anderson Collection at Stanford University (2014) and is the author of Strange New World.